Match ends, Nigeria 3, Togo 0. Second Half ends, Nigeria 3, Togo 0. Substitution, Nigeria. Stephen Odey replaces Elderson Echiéjilé. Substitution, Nigeria. 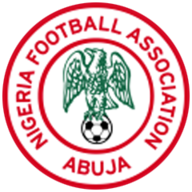 Abdullahi Ibrahim Alhassan replaces Mikel Agu. Substitution, Togo. Elom Nya-Vedji replaces Franco Atchou. Substitution, Togo. Koidjo Sewonou replaces Kodjo Fo-Doh Laba. Substitution, Togo. Sérge Seko Atsou replaces Lalawélé Atakora. Substitution, Nigeria. Olarenwaju Kayode replaces Alex Iwobi. Substitution, Nigeria. Dele Alampasu replaces Ikechukwu Ezenwa. Substitution, Nigeria. Sikiru Olatunbosun replaces Kelechi Iheanacho. Substitution, Nigeria. Uche replaces Wilfred Ndidi. Substitution, Nigeria. Henry Onyekuru replaces Oghenekaro Etebo. 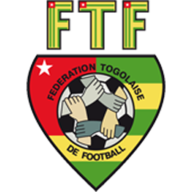 Lalawélé Atakora (Togo) is shown the yellow card for a bad foul. Franco Atchou (Togo) is shown the yellow card for a bad foul. Second Half begins Nigeria 3, Togo 0. Substitution, Nigeria. Tyronne Ebuehi replaces Abdullahi Shehu. Substitution, Nigeria. Victor Osimhen replaces Ahmed Musa. Substitution, Togo. Komlan Agbégniadan replaces Guillaume Yenoussi. Substitution, Togo. Peniel Mlapa replaces Kokou Gazozo. First Half ends, Nigeria 3, Togo 0. Goal! Nigeria 3, Togo 0. Kelechi Iheanacho (Nigeria) right footed shot from more than 35 yards to the top left corner. Goal! Nigeria 2, Togo 0. Ahmed Musa (Nigeria) right footed shot from more than 35 yards to the top right corner. Assisted by Alex Iwobi. Goal! Nigeria 1, Togo 0. Ahmed Musa (Nigeria) right footed shot from more than 35 yards to the high centre of the goal.